Editt brand Hair Gel with Pro-Vitamin B5, sold with a batch/lot designation of 12166747, an expiry date code of 06.2019 and a barcode/UPC/EAN of 5904215406747. The type of hazards presented in this Hair Gel product include the presence of Methylchloroisothiazolinone (sometimes abbreviated as “MCI” or “MI”), a preservative with antibacterial and antifungal effects within the Isothiazolinones group, in excess of European permitted levels. Dermal (i.e., skin) contact with Methylchloroisothiazolinone can provoke Allergic Contact Dermatitis, especially for people with skin sensitive to this substance. These Hair Gel products, therefore, do not comply with the requirements of Europe’s Cosmetic Products Regulation as they can cause allergic reactions. 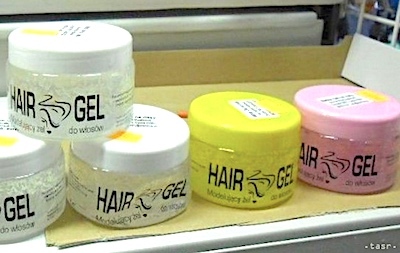 ==> Please do not use any of these recalled Hair Gel products nor allow your children to use them. Instead, please return the Gel to the store or online outlet from which you purchased them for a full refund. ==> To see other recalls and notifications caused by faulty and/or dangerous Hair Gel, please search for “hair” or more generically, “cosmetics” using the Search Box at the top of this page. These Hair Gels do not comply with the requirements of the applicable European standard and have been ordered recalled from end users and withdrawn from the European marketplace.